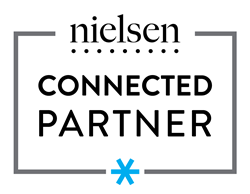 ShopAdvisor, Inc., a leading provider of drive-to-store mobile proximity marketing solutions and an inaugural member of Nielsen’s Connected Partner Program, announced today that it will be participating in Nielsen’s CoNEXTions: A Consumer 360 Conference. ShopAdvisor is a platinum sponsor of the conference. At the show, they will be showcasing the ShopAdvisor Platform and the solutions it has delivered using the Nielsen Connected System data. The Nielsen CoNEXTions conference will be hosted at the JW Marriott L.A. Live, in Los Angeles, CA, June 26 - 28th, bringing together the leading manufacturers, retailers, agencies and technology providers in the fast moving consumer goods (FMCG) industry. The ShopAdvisor Platform enables retailers, brands, agencies and publishers to create proximity marketing campaigns that take consumers from their smartphones into brick and mortar stores at unprecedented levels. ShopAdvisor’s contextually relevant data -- spanning shopper, product and location information, provides the foundation for the development of mobile landing experiences that engage the shopper with the products they want that are closest to their current location. This data also powers context-based messaging, which can include mobile banner ads, push notifications and more, which spur the shopper to take action. ShopAdvisor customers have seen unprecedented results and ROI when combining all of these capabilities in a drive-to-store proximity marketing campaign.